The revamped Are You Being Served? that screened on BBC1 this Bank Holiday weekend saw the famous Grace Brothers department store being gently pushed into the modern era – or, at least, 1988 – though we already know, of course, that the store had closed by the time of the largely-forgotten 1992 sequel, Grace and Favour. Though independent department stores are a long, proud and innovative part of Britain’s retail heritage, stretching back to Newcastle’s own Bainbridge in the 1840s, many that have failed to move with the times have gone the way of Grace Brothers. Earlier this year, McEwens of Perth closed its doors after nearly 150 years, blaming, inevitably, the Internet and the credit crunch. However, it’s wrong to suggest that long-established independent department stores can’t survive and thrive in a changing retail environment – and I’ve come across plenty on my travels that are doing just that. 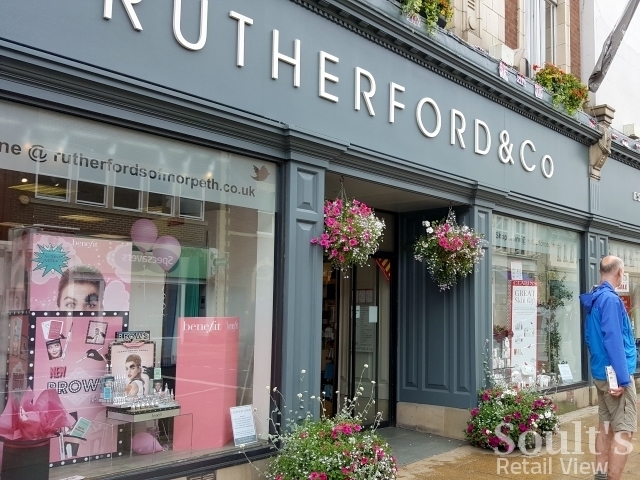 For example, Rutherford’s of Morpeth is a store that has traded since 1846 and always impresses both inside and out, while the famous Browns of York (founded in 1890) has expanded in the last few years with new branches in Beverley and Gainsborough. Barkers in Northallerton, which I blogged about back in 2011, is another favourite, and a fixture of the town’s High Street since 1882. So, what are the qualities that have allowed Rutherford’s, Barkers and Browns to stay attractive and relevant in the 21st century? 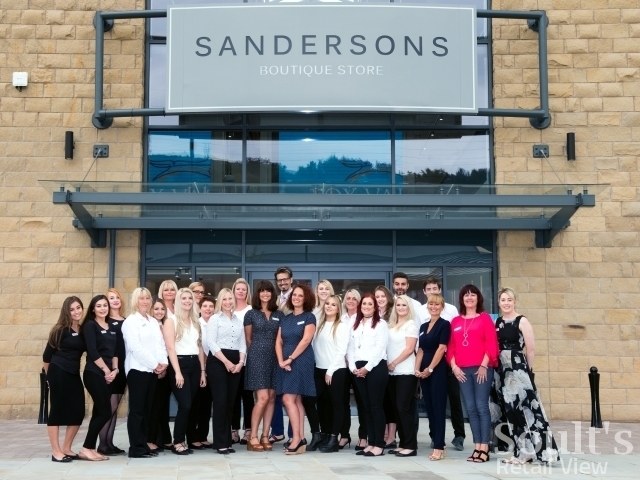 Well, we should get a good idea when new department store Sandersons opens its door at Fox Valley in Stocksbridge tomorrow (1 September) – a rare example of a brand-new independent department store business. 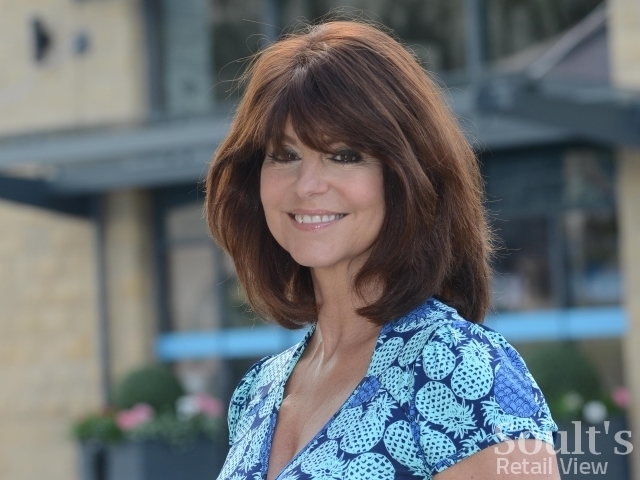 Cannily, Deborah Holmes – the store’s founder and MD as well as co-owner of Fox Valley development company, Dransfield Properties Ltd – has used Dransfield’s established networks to good effect in an attempt to pin down the ingredients of department store retailing success. 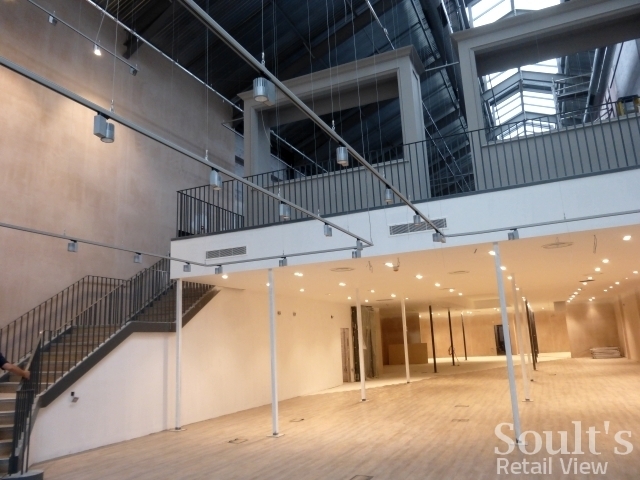 Rutherford’s is already a good neighbour of Dransfield’s Sanderson Arcade in Morpeth – recognising that both benefit from the other’s footfall – while Browns anchors the company’s Marshall’s Yard in Gainsborough. With input from Barkers as well, Sandersons has had an enviable 430 years of department store advice to draw from in creating its fresh concept. Naturally, I’m excited about seeing the store in the flesh for the first time tomorrow, but I’m detecting several important strands that bode well for its success – drawing from the lessons of the past, but very much looking forward at what the modern shopper wants and expects. A quality shared by Rutherford’s, Barkers and Browns is that they all have a premium positioning – which is generally the best place to be for an independent department store. If a store offers quality brands and products within a lovely environment, shoppers are more likely to perceive it as a destination. Independents can’t always match the big multiples on price, but they can nearly always beat the chains in terms of the instore experience and the distinctiveness of the offer. Sandersons is rightly going down a similar route. Its logo proclaims it to be a ’boutique store’, and the interior fit-out is, by all accounts, of a very high standard. The store’s mix of quality brands is also appealing, with familiar names like Ted Baker, Phase Eight, White Stuff and Barbour sitting alongside local products from British Silverware and The Sheffield Pewter Company. Meanwhile, Sandersons’ focus on organic and cruelty-free products should chime with the modern shopper, and helps to define the brand as independent, distinctive and bold. Fox Valley, of course, has a crucial role in serving its local community in Stocksbridge, but you can see Sandersons acting as a draw to pull in people from further afield as well – so, good for Sandersons, and for the Fox Valley scheme as a whole. In a multichannel world, independent department stores have no option but to capitalise on the advantages they have over online-only operations – namely, being able to offer experiences and engagement that you just can’t recreate via a PC or smartphone. Again, Sandersons looks to be doing all the right things here. Recruiting “skincare expert, international make-up artist and presenter”Armand Beasley as the store’s Beauty Ambassador – and with whom customers can book a consultation in the Beauty Lounge – seems like a genius move. It gives customers a reason to visit, both for the opportunity to get advice from Armand and his team, and because it’s a unique experience that they can’t simply replicate elsewhere. The addition of other distinctive services – such as local florist Floral Boutique, and The Nail Box nail technician – look as if they will add further interest, colour and buzz. Following on from the point about instore theatre, modern physical retail is starting to recognise that customers want more than just a functional experience – and, increasingly, food and drink is seen as a core part of that offer. Fox Valley has already done well in securing the first Central Bean coffee shop beyond the North East, as well as the only Ponti’s Italian Kitchen outside London. Now, in another Newcastle connection, Central Bean will be joined by its Vaulkhard Group stablemate Blakes, which will operate Sandersons’ instore tea room, on the first floor. Blakes’ original Grey Street branch has been around for years – and is something of a Newcastle institution – so it’s exciting to see the brand making its first moves elsewhere. I suspect Sandersons customers will enjoy the Blakes menu, while others will be attracted into Sandersons off the back of its superlative catering offer – a great footfall driver and source of revenue, yet another aspect that many of the less successful department stores I come across overlook. Too many independent department stores barely have an online presence at all – so how can you expect the Internet generation to be interested in or even know about such businesses? Happily, Sandersons has been doing everything right here, busily building its online footprint for at least six months before its opening, and generating a healthy social media following, especially on Facebook. Having built up a sense of anticipation and excitement online – supported by the very active social media accounts for Fox Valley as a whole – a good number of these social fans are now likely to visit and spend money in Sandersons, which is exactly what you want to achieve. Yes, the Internet is in some ways a threat to physical retail, but it can also be a powerful generator of brand awareness and footfall if you use it right. Needless to say, I’ll be at the Sandersons grand opening at 11am tomorrow – and, in keeping with my own advice, no doubt tweeting my initial impressions ahead of a follow-up blog later in September.